When I first saw the Botanicals Cleansing Melt, my initial reaction was that it would hopefully have a rose scent being rose and camellia. I am a huge rose fragrance fan, I know many think of old ladies when they think that that fragrance, but for me rose is a gorgeous, rich fragrance. I was also excited that it was not tested on animals too and seemed to be a one stop product for cleansing your skin. A natural daily cleansing balm which dissolves make up, lifts impurities and leaves the skin feeling nourished, soft and hydrated. Botanicals natural deep-cleansing melts are designed to penetrate the skin’s lower layers; removing impurities and restoring natural balance. Directions: Remove a pea sized amount from jar and melt between finger tips. Massage gently into skin using circular movements. Remove with a warm, damp organic face cloth. Firstly can I saw this cleanser smells amazing. There is a subtle rose fragrance there, but it also smelt like there was a hint of neroli (Although I could not see it on the ingredients). This product is not overpowering, in fact I found the scent relaxing, both in the pot and on my skin. The product contains 87% organic ingredients too. This was my first product from Botanicals and I was not disappointed. The Cleansing Melt is a solid product which you need very little of. In fact a pea size amount is enough for me to cleanse my whole face and neck! Meaning, this 55g pot is going to last ages! So, although the outlay is a little pricey to begin with, it is economical in the long term. 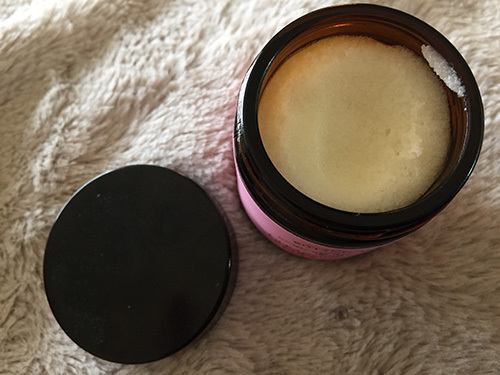 I don’t like to compare products in honesty as it feels like I’m putting brands against each other, but I do have to say that the Botanicals Cleansing Melt feels on the skin and works exactly the same as the Ren No1 Cleansing Balm. As you will know if you follow my bog, I’ve been a huge fan of the Ren product now and repurchased it a few times too. Not only did I see the same results from the Cleansing Melt, but its also cheaper too and in my opinion would last longer. Granted the scents are both different, but if I’m being honest, I prefer the Cleansing Melt! To use the cleansing melt, I literally apply a pea size amount to my finger tips and then massage it into my face and neck. I then wipe it away with a warm wet muslin cloth after. It removes 95% of my makeup (Sometimes I do have a little liner left, but I get that with ALL products unless I use them twice in a row) and leaves my skin feeling soft, hydrated and looking fresh too! 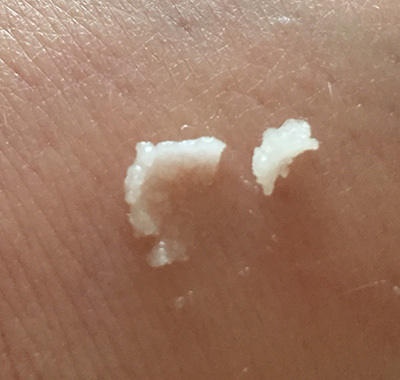 From someone with sensitive skin which likes to flare up a lot, I can also add I had no reactions to this product what so ever! Over all, I am super impressed with the Botanicals Cleansing Melt. I love that its very similar to the Ren product in what it does and how it feels on my skin and I think from now on I’ll be using this instead. My skin looks good, it feels great and I love the fragrance too. This is designed more for dry and mature skin and I can agree its great on my dry skin. Highly recommended! 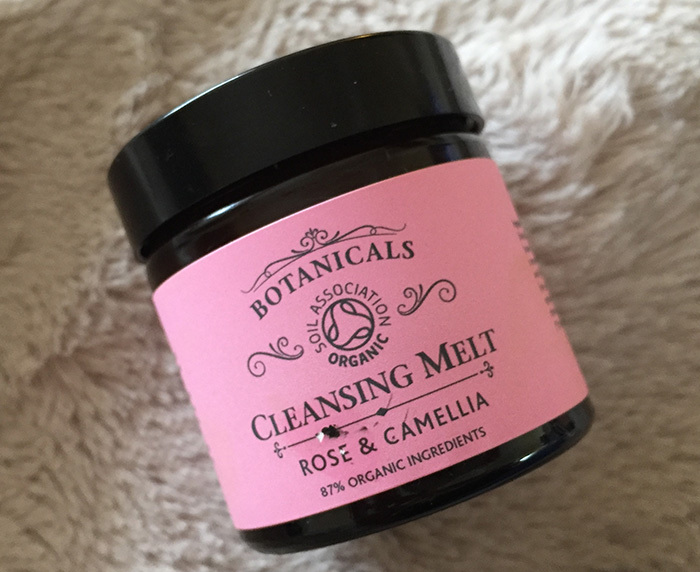 The Botanicals Cleansing Melt Rose and Camellia costs £19.95 and is available directly from Botanicals online. For more information on Botanicals and their products, why not checkout their Website, Facebook or Twitter?